In the modern business world, speed is of the essence. Whether you are running an e-commerce site, providing real-time voice services, or giving gamers an online venue to show off their skills, having a website that performs at optimal speeds could be the difference between success and failure. But in that quest for speed, you also need to ensure you’re protected against a cyberattack designed to take your site offline. DDoS attacks have been on the rise for the past several years, as documented in our newly published cybersecurity report, “The Changing Face of Cyberattacks”. DDoS attacks can wreak havoc on your revenues if one were to successfully penetrate your network defenses. SiteProtect NG™ is Neustar’s answer for the best protection against a denial of service attack, providing organizations with the largest dedicated mitigation network in the world with 10+Tbps of data scrubbing capacity. If you’re a small- or medium-sized business with a relatively straightforward network infrastructure system, a VPN solution that is set up correctly, like SiteProtect NG, is typically sufficient to handle your DDoS protection needs. 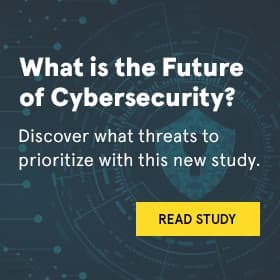 But for large enterprise organizations with highly complex systems, a more robust solution is needed to ensure you have a protected fiber connection to your defense network. This enables all the information that passes through your network to be validated before it gets sent to your customer. The answer is a direct connect service. Earlier this year, we introduced Neustar NetProtect™, which is designed as a complement to SiteProtect NG to give enterprises the most comprehensive and powerful DDoS protection in the industry. When NetProtect is added, it provides a direct connection within our 61 global data centers, each strategically located around the world for maximum efficiency. Because of the direct connection, data can move faster because it’s not tunneling across the legacy Generic Routing Encapsulation (GRE) or Virtual Private Network (VPN) systems and through potentially congested peering points. This is a highly valuable feature for companies that specialize in gaming, real-time voice communications, real-time video, and real-time lookup/APIs in the Financial Services or Security sector where speed is of the essence for a premium online experience for users. And with our global presence with approximately 400 locations available for virtual cross connect, NetProtect is likely to be located near you. Because NetProtect focuses on and facilitates transmitting sensitive data quickly and securely, it’s an ideal solution for demanding and advanced network requirements that involve support beyond basic proxy or VPN services. High bandwidth, measured as data exceeding approximately 2Gbps per tunnel, through GRE tunnels can lead to packet loss due to encapsulation load on customer router or congested peering points. NetProtect allows organizations to remove any unnecessary entry points into their network. This drastically reduces potential vulnerabilities, which attackers can exploit to launch a DDoS attack, increase malicious traffic or impair the customer's ability to define routing policies. NetProtect's direct connection adds additional security as customer data is not tunneled in clear text over a public Internet connection. NetProtect doesn't require additional software or hardware to transfer data across networks, making it easier to integrate into existing network infrastructure. It’s also a fantastic option for large enterprise organizations that are looking for an alternative to using legacy GRE tunnels, but have been struggling to find a trusted, secure solution that doesn’t add even more complexity. These kinds of system simplifications have traditionally presented technical challenges because they necessitate an overlay network on top of the physical network. Be sure to download our cybersecurity report, “The Changing Face of Cyberattacks” to learn how intelligent attackers are finding new ways to infiltrate your online presence and what steps you can take to stop them. To learn more about the Neustar NetProtect service or any of our other Digital Defense solutions, contact one of our experts at 1-855-898-0036 or send an email to salesinquiries@team.neustar. Is DNS the Rodney Dangerfield of Your Cybersecurity Strategy?